Oooh, Shinies! : Catrice Absolutely Chinchilly! Absolutely Chinchilly! 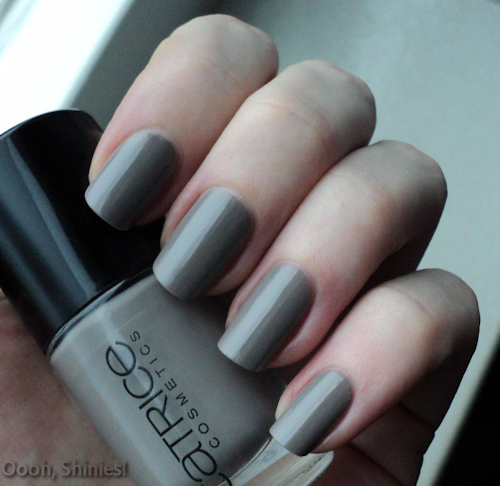 is one of the latest Catrice polishes, I'd say it's a bit of a mix between grey and brown. I thought I would love it, but hmm I'm still not sure. 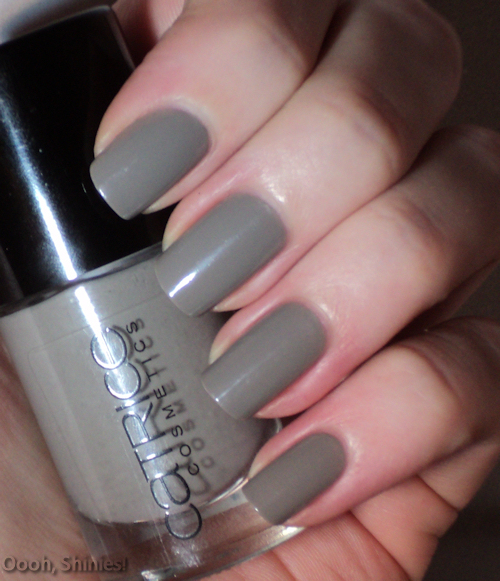 I think it maybe just doesn't work so well with my skintone, although on the pics it doesn't look that bad. I planned on adding some black stamping or stickers or some to spice it up a little, but I doubted so much over the color that I didn't even add a top coat :P I'll probably try that some other time though. I used 3 thin coats here. Not the best pic (give decent light already! >.<) but it shows the darker side of it a bit better. Watermelon Rind & Glisten up!